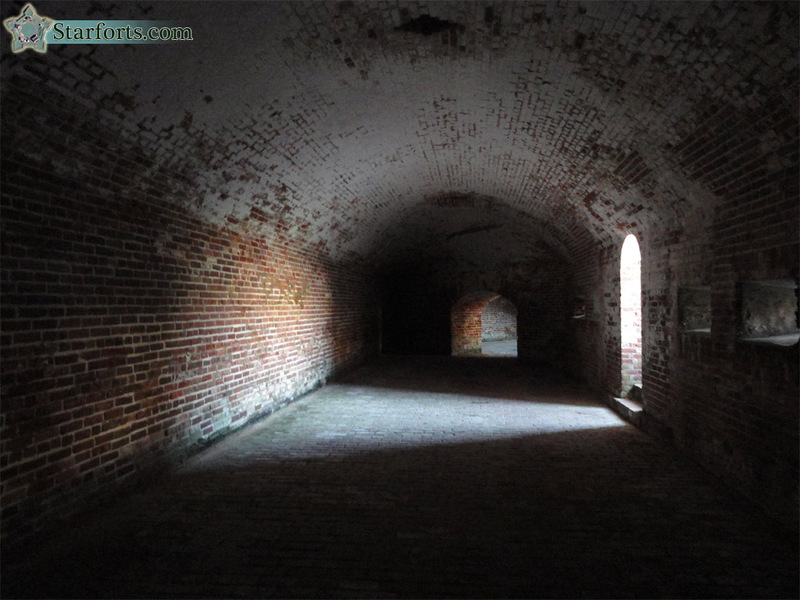 This is Fort Macon's most impressive Counterfire Gallery, at the fort's west corner. It oversees the largest open area, and is able to fire along both the fort's northwest and southwestern sides. So naturally it's the biggest of the bunch!